3. You understand that all of the materials appearing on this Site are protected by Worldwide Copyright Laws and International Treaties. 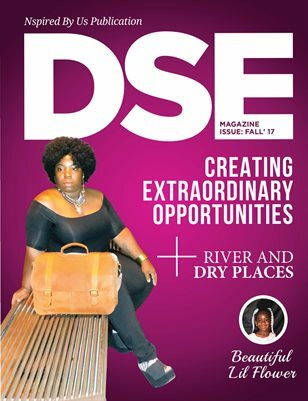 Consequently, none of the materials on this Site may be copied or reproduced in any manner, or modified, uploaded, downloaded or transmitted or distributed in any form without DSE Magazine Nspired By Us Publications's prior written permission. Any database information on this Site is provided for business reference purposes only. Of course, your unauthorized use of any of the materials on this Site could subject you to civil or even criminal liability. Similarly, all of the trademarks and service marks shown on this Site are proprietary and may not be used in any trademark or service mark manner without DSE Magazine Nspired By Us Publications's prior written permission. 8. You are this site at your own risk, this site is AS IS, without warranty of any kind, either express or implied. To the fullest extent permitted by law, associated expressly disclaims any and all warranties expressed and implied including but not limited to any warranties of accuracy, reliability, title merchant ability, fitness for a particular purpose, strict liability, purpose, strict liability, non infringement, or any other warranty, conditions, guarantee or representation whether oral, in writing, or in electronic form. DSE Magazine Nspired By Us Publications does not warrant or make any representation regarding the use, validity, accuracy, or reliability of, or the results or use of, any of the materials on this site or any sites linked to this site, including any advertisement or services provided by any third parties. NpireMe Magazine does not represent or warrant that access to the site will be interrupted or that there will be no failures, errors, or omissions, or loss of transmitted information, or that no viruses or worms will be transmitted on the service. DSE Magazine Nspired By Us Publications, its affiliates and its third party services providers shall not be liable to you or any third parties for any direct, indirect, special, consequential or punitive damages allegedly sustained or incurred arising out of the provided of services here under the sale shall sale or purchase of any goods or merchandise, your access to or inability to access the service, your use or reliance on the service, regardless of the type of claim or the nature of the claim. Some states or jurisdictions do not allow the the exclusion of limitation of incidental or consequential damages, do the above limitation or exclusion may not apply to you. 9. DSE Magazine Nspired By Us Publications may terminate or deny access to all or any part of the Site for any reason whatsoever or for no reason, in its sole discretion, and if such termination occurs, neither DSE Magazine Nspired By Us Publications nor any of its officers, agents or employees shall be liable to you for such termination.